This is a beautiful decoration designed by Tomoko Fuse. 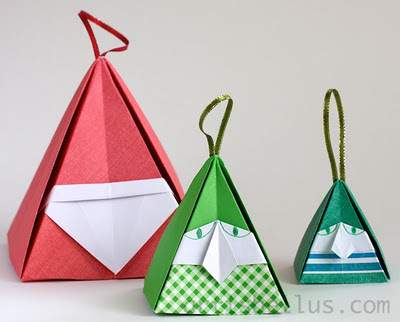 It can be used as a hanging ornament, a party favor, or to embellish gifts and cards. 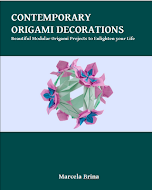 The instructions to fold the framed flower can be found in the book, Motif Pastern of Origami, by Tomoko Fuse, ISBN 9784569707730. 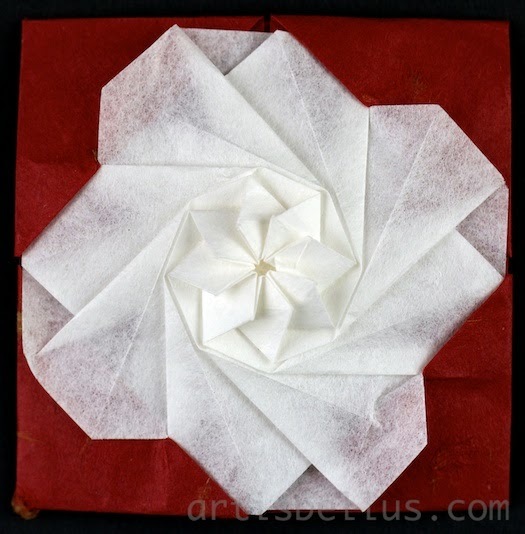 I folded the flower with an octagon cut from a 6" (150 mm) square of white washi paper, and the frame with a 6" (150 mm) square of red hand made paper. 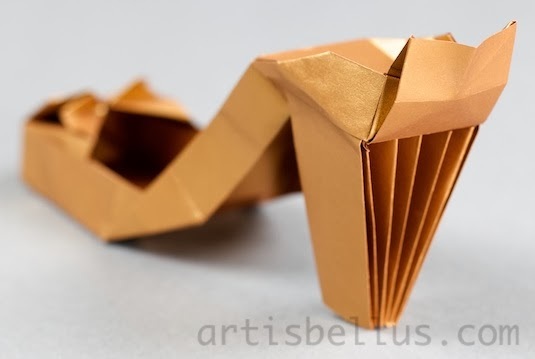 Besides being an origami fan, are you looking forward to watching the FIFA World Cup? If so, you'll enjoy folding this soccer ball with the colors of your favorite team. 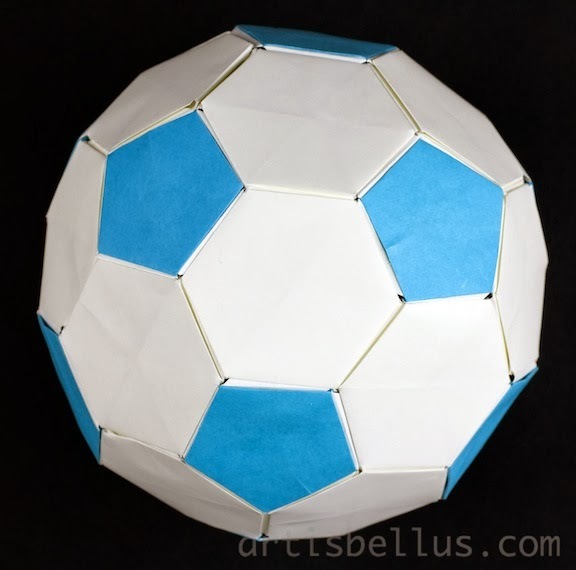 The Soccer Ball (or Truncated Icosahedron) is an origami modular designed by Tomoko Fuse. 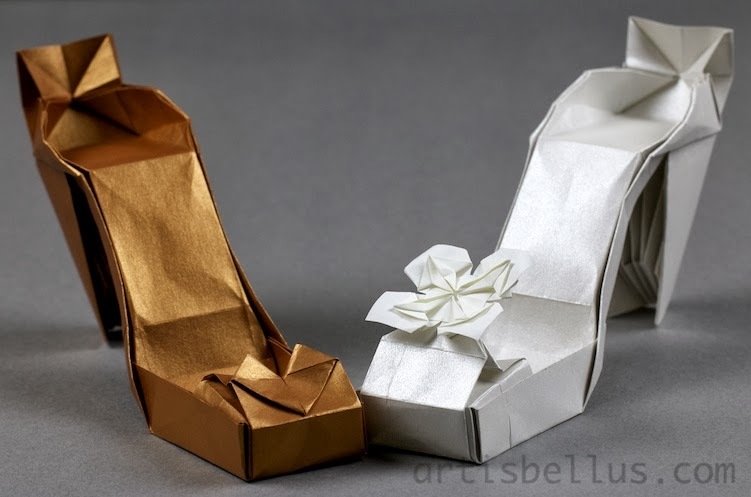 The instructions can be found in her book, Unit Origami Wonderland, ISBN 9784817081650, page 76. It involves a lot (really a lot!) of cutting and folding, but the results are great. I had to use a little glue (but only to connect the hexagons) to make it sturdier and easy to handle. 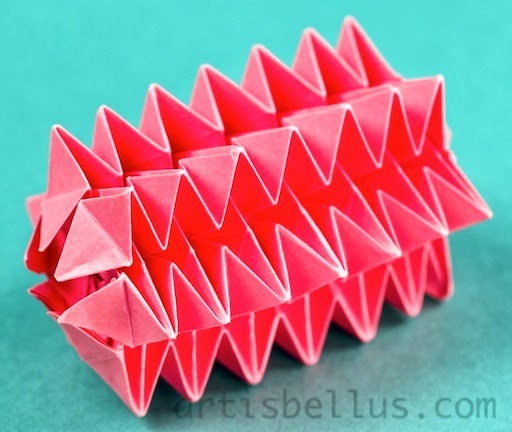 20 Hexagon modules, folded from hexagons cut from 140 mm (5½") squares of white copy paper. 12 Pentagon modules, folded from pentagons cut from 79 mm (3 1/8") squares of light blue copy paper. 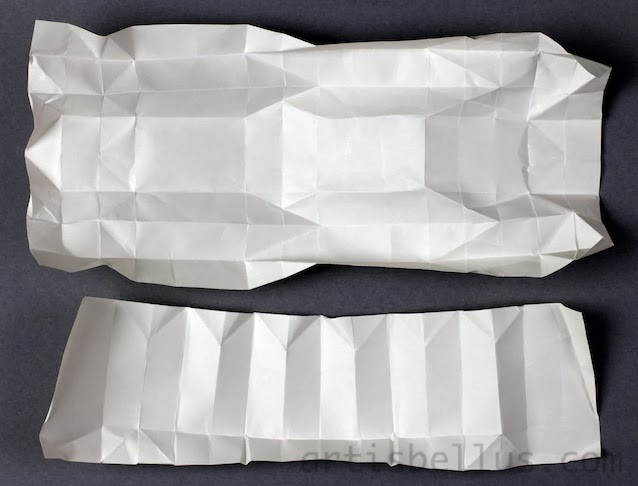 30 Hexagon to Hexagon connectors, folded with 61 mm x 70 mm (2 7/16" x 2 ¾") rectangles of white copy paper. 60 Pentagon to Hexagon connectors, folded with 35 mm (1 3/8") squares of white copy paper.